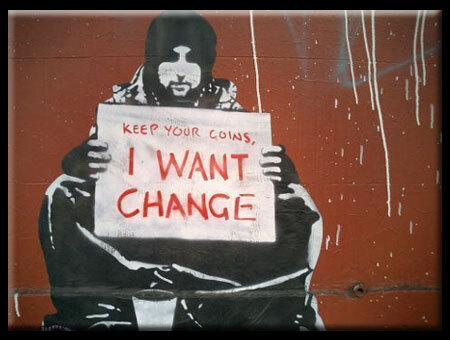 Urban centers typically discourage homeless people from sleeping public spaces – without necessarily providing alternatives. However, some activist artists, designers and architects have developed clever convertible, inflatable and portable innovations that challenge conventional ideas of homelessness and modes of dwelling. Regardless of your view of street dwellers or opinion regarding the best solutions to these problems, suspend your judgment for a moment to take in these extremely cool designs! The image above depicts typical public urban furniture designed precisely to keep people from lying down on it. It is a lose-lose situation, forcing the homeless to seek shelter in unsafe places and keeping the public in the dark about issues of homeless dwelling. Convertible: Some artists and activists have found creative, clever and innovative ways to rethink these designs. 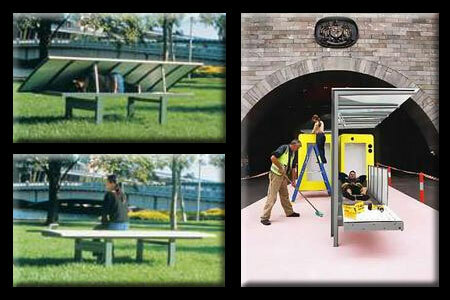 One such designer, architect Sean Goodsell, has developed a series of urban benches that convert into homeless shelters. Inflatable: Another designer has proposed a series of inflatable dwellings that run on the waste air of buildings. The creator of ParaSITE, Michael Rakowitz, works on various projects designed to raise public awareness of various urban social issues. 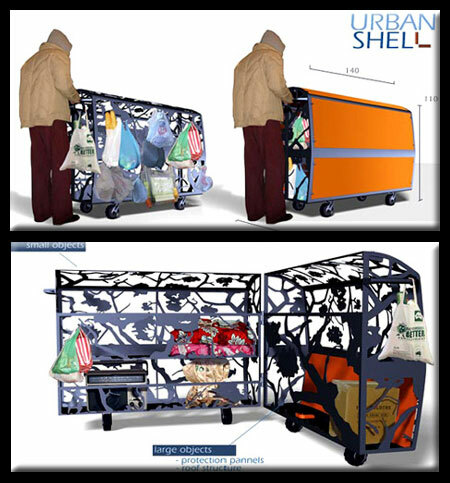 Portable: Industrial, graphic and architectural designer Agustin Otegui has taken things a step further by designing mobile urban furniture for the homeless, doubling as shelter and storage. Thoughtful: Though less design-intensive, the Salvation Army also presents a simple but effective strategy: blankets that are both practical but also send a clear message and raise public awareness. Update: Following the lively discussion and mixed comments on this article, a follow-up was created to address other forms of nomadic urbanism from car living to couch surfing. Also be sur to see this somewhat more light-hearted look at urban camping.